Hey guys!! What it’s Tuesday? What happened to Lovely Ladies Linky? Well I am here to tell you we have started a new party, bigger and better than before! We have more bloggers, more chances for you to be seen, more exposure for you!! Soo now the party starts Tuesday 10 p.m so you can get all your awesome projects in early! We will also be featuring a blogger each week chosen from random from the first 100 linkers!! This week we chose A Mom’s Take, such awesome recipes!! or grab our party button for you site! Also new is we have a sparkly new Pinterest Board! You can go there any pin your projects, other pins you like, anything! Join below and pin away!! Lot’s of exposure for you there too! 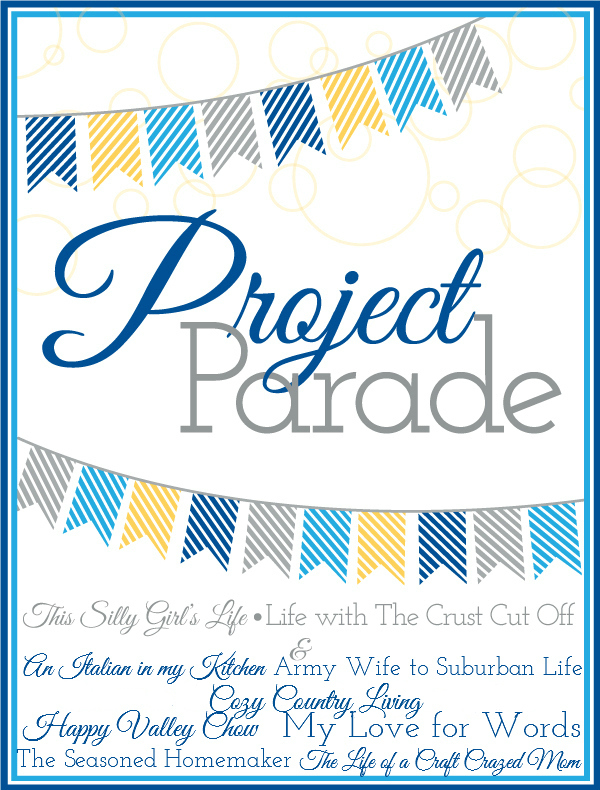 Follow Dana @ This Silly Girl’s Life’s board Project Parade on Pinterest.I will still be featuring three of your amazing projects each week and you can check out my cohosts and see you they feature each week too! So have fun, link up and get your projects seen!! Thank you so much for including my How to Make Hard Boiled Eggs in the Oven post :-) Have a fabulous week! Thanks for hosting, Parrish! Have a great day!